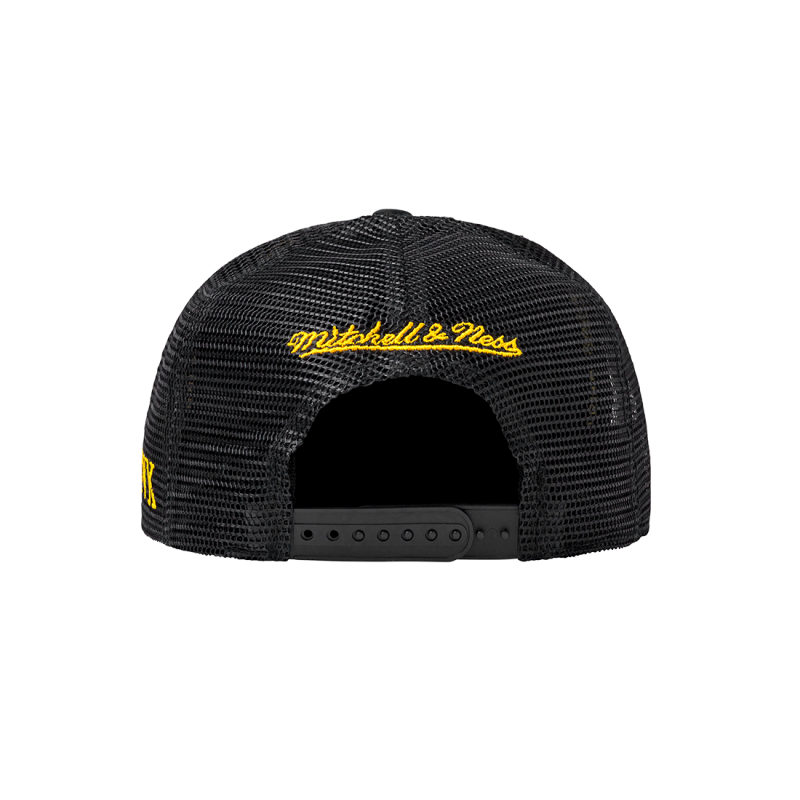 The Bruno Mars ‘24K World Tour’ Trucker hat was custom designed on a black Mitchell & Ness trucker hat. Snap closure. 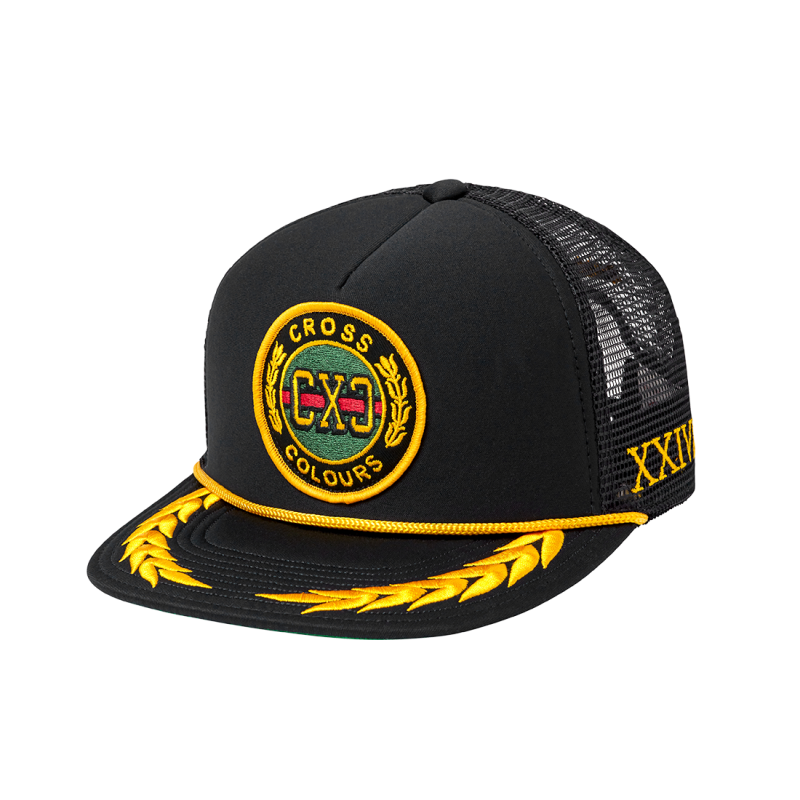 The trucker hat features a Cross Colors emblem embroidered on the front. There is an embroidered embellishment on the flat brim as well as a gold cord around the base. The roman numerals 'XXIV' are embroidered on the left side in gold. The back of the hat features the Mitchell & Ness logo embroidered in yellow.